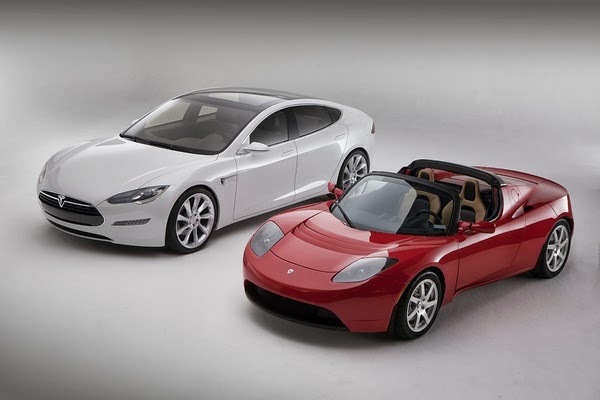 The controversy over whether a Tesla Roadster can be bricked is building, running the risk of spooking Tesla’s customers just as the company is about to start production and delivery of the Model S, and just as customers are beginning to line up with deposits on the Model X. Yesterday a controversy popped up over the risk of Bricking a Tesla Roadster if it sits idle, parked, and not plugged in for a few weeks. Some subsystems that never turn off will drain the battery pack far enough to render the Roadster an inert hunk of metal and carbon fiber. In the wake of this report we have a duel between websites, possible indiscretions by Tesla Motors, uncertainty over whether future Model S and Model X owners will face the same issue, and public sentiment turning against Tesla. owners against this possibility, they also proactively monitor (remotely) the state of charge in all Roadsters to detect ones whose battery pack is dangerously low. 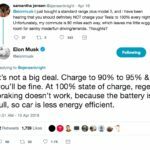 One can interpret Tesla’s stance as pushing the responsibility on the owner, just as the owner of a gas car is responsible for regular oil changes necessary to avoid damage to the car. One note in passing. A battery pack replacement wouldn’t be needed if the Tesla Roadster contained circuitry to shut everything off before the battery pack state of charge fell too low. If the state of charge fell too low, and automatic protection circuits shut everything off, a service technician would simply be able to force the car into recharge mode. Because the battery pack has to be replaced in these cases, it demonstrates that the Roadster does not have an automatic protection of this sort. However, Michael DeGusta (the author of the blog post reposted by Jalopnik) and Max Drucker are long-time business partners. A bit of googling on their names turns up a listing in CorporationWiki showing the two are partners in four businesses. Further down in the results, in a November 2000 article on InsuranceTech.com, DeGusta is described as Drucker’s “partner in crime”. Eleven years later (today) we have DeGusta writing a blog post, claiming to be an innocent bystander with no interest in the outcome, but in reality his business partner has taken a large loss due to the design flaw described in that blog post. Hence is DeGusta really a disinterested bystander? That seems unlikely. Is he a “partner in crime” to a man who owns a now-bricked Tesla Roadster? Hard to say. Turning away from the he-said-she-said of this, let’s take a look again at the actual risk. Tesla’s stance is that they’ve warned the Roadster owners what to do, and are monitoring Roadster’s to ensure their battery pack state of charge doesn’t fall into dangerous territory. However the monitoring began with the post-#500 Roadsters, and since Druckers’ Roadster is #340, it wasn’t being monitored by Tesla. In Drucker’s letter when he stated “I had no idea I was putting the car at risk or obviously I would not be in the position I am in now,” and that “I am not in idiot,” he is claiming ignorance or he would not have left his Roadster in a storage unit for two months. However excerpts from the owners manual clearly shows that Roadster owners are clearly warned to keep the battery pack charged or risk damaging the pack, just as gasoline car owners manuals clearly warned to perform routine maintenance or risk damaging their car. A twitter message from DeGusta included the statement “I do think just saying RTFM is unduly dismissive, FWIW“. RTFM being geek slang for “Read The Fine Manual,” and often refers to manufacturers who dismiss owner claims of manufacturer negligence by saying the owner should have read the manual. How many of us read the owner manual to our cars? And, for that matter, how many car owners ignore the routine required maintenance? Whether or not DeGusta and Drucker really are collaborating to cause Tesla Motors public image damage, their point is valid. The Roadster should be designed with better automatic safeguards rather than relying on owners knowing to do the right thing, because clearly a large number of car owners not only ignore the owners manual, they ignore routine required maintenance. And there is a valid concern over the future Model S and Model X owners, if those cars have the same design flaw. Do existing Tesla Roadster owners understand this issue? Over on TeslaMotorsClub.com (a discussion forum for Tesla owners) a poll was taken showing 92% of the respondents understand the need to keep an electric car charged up. 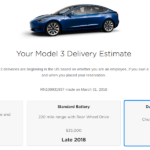 Some discussion in the poll indicates surprise that none of the Roadster owners with bricked cars had posted on that forum, and that “operator error is not covered under warranty.” Others commenting on that poll worry about the effect on Tesla, and hope that Tesla takes some serious action soon to address this issue. Some of the twitter traffic indicates a negative sentiment growing against Tesla Motors. One writes that this is a “deal-breaking #fail” and “Now glad I don’t own a Tesla.” Another writes “its not like i’ll ever have the money for a tesla, but man, reading this, I wouldn’t buy one if i did.” And yet another writes “Tesla just became infinitely less interesting.” The number of these tweets is fairly small at this point, but it could be the beginning of a wave of anger towards Tesla Motors. 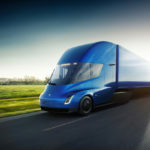 Tesla has faced public anger before, and successfully navigated the public relations waters to maintain a positive image of the company, and doubtlessly Tesla’s management is already working on a response. 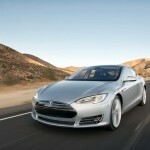 Can this kill Tesla Motors? 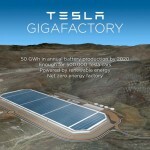 The company is at a critical point its history where it does not have any cars to sell, and is ramping up a production facility to begin production of the Model S. In other words, the company is spending gobs of money, has little income, and hopes top jump the next hurdle of delivering the Model S to customers. If Tesla can successfully start delivering the Model S, that will bring in lots of revenue, but if the customers get spooked that they might be buying a lemon, the company could be left with a factory for building cars nobody wants. Tesla has yet to say anything more than RTFM. Will that be good enough or will it backfire?